If you listen to the conspiracy theorists, they'll tell you that Stanley Kubrick helped fake the Apollo 11 moon landing mission in 1969. Remember the vintage moon landing footage you've seen? Kubrick apparently shot the breathtaking video on a sound stage in Huntsville, Alabama, drawing on the special effects he perfected while shooting 2001: A Space Odyssey (1968). That's how they explain that artifact. I wonder how they deal with this? 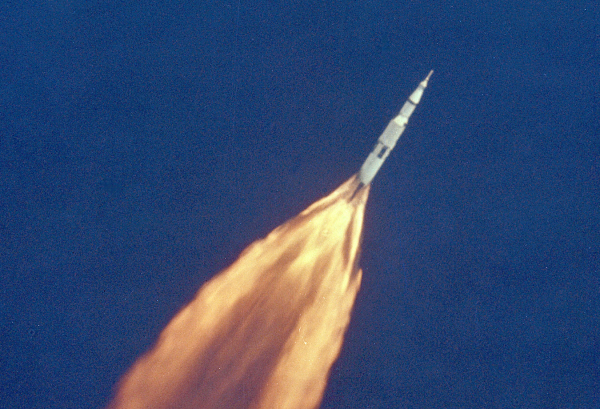 : On Github, you can now download the source code for Apollo 11's command and lunar modules. Originally written by programmers at the MIT Instrumentation Laboratory in the mid-1960s, the code, according to Quartz, was recently put online by NASA intern Chris Garry, making it freely available to the coding community. You can find it all here and start hacking your way through the reams of obscure, vintage code. Skeptics can put their theories in the comments section below. Strange how NASA has never gone back to the moon ? Last probe they cent up there ? Photos came back graine and out of focus ? They will not let us see any good photos of the back side of the moon ? Why is That ? What are they covering up ?